Members of the choir were very privileged to be invited to the rededication of the east window at Paul Church on Sunday 6th May. Attending the service was the Lord Lieutenant of the County, Colonel Edward Bolitho OBE, representatives of those who had restored the window and fund raisers. 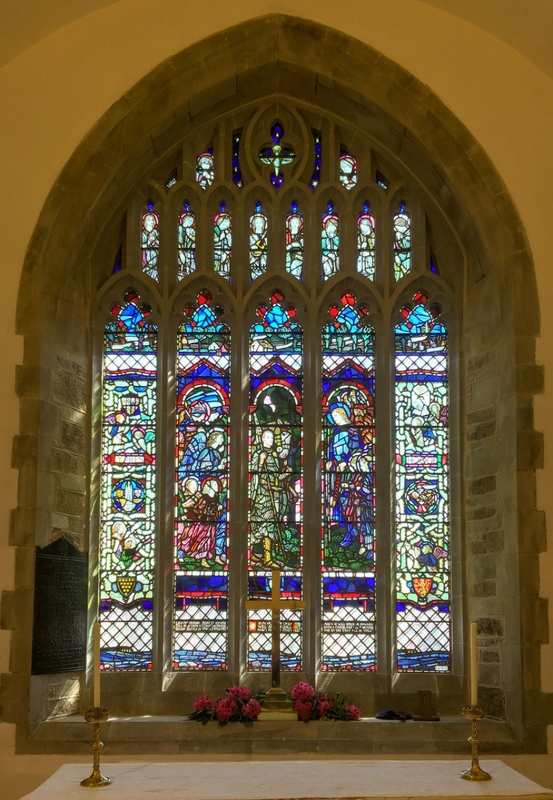 The service was conducted by the Rev Andrew Yates, six days short of the one hundredth anniversary of the original dedication of the window in 1918. The choir were extremely delighted to have played its part in providing some funding for the restoration work that has been carried out. It was not lost on anyone present that the original dedication was undertaken whilst the war was still in progress. Wilfred Owen’s most famous poem was read out and it was not lost on the congregation the poem’s last line, ‘Dulce et Decorum est pro patria mori’ and the lie that filled the recruiting halls across the land. This window will continue to be part of our Monday night choir practice and serve as a reminder of the sacrifice of that generation and the thanks we give for our freedom.